In a previous post I promised to provide an update on the performance of my Pinhawk single length irons once the grass was green and the birds were singing. Well the grass isn’t really green yet but like a true Manitoba golf nut, despite the cold and windy weather, I’ve already completed my first 10 rounds of golf. All 10 rounds have been played using the Pinhawk single length irons. By way of comparison, my scoring average for the first 10 rounds is 2.9 strokes lower than last year. It is however not a true apples to apples comparison in terms of equipment as not only did I change my irons I also replaced my driver, a hybrid and my putter. However all that being said my first impressions are very positive. I am hitting the single length irons straighter than I did my conventional length irons. The ball contact is solid, the flight trajectory is good and the distance control is excellent. These distances are not spot on accurate but are based on using a laser range finder where possible and pacing yardages. The gaps between clubs is excellent and although the distances are somewhat less than with my conventional set of irons I think once the weather warms up and I start using better quality (higher compression) balls the distances will improve. I am very optimistic in terms of matching my usual distances with my conventional length clubs. When I first started writing about the single length iron concept I received an offer from one of the golf professionals at a local golf course to test the clubs on Flightscope. Once I get more used to playing with the Pinhawks and the weather warms up I will be availing myself of that offer and reporting the results. In the meantime, I’m off to Bridges to play my first round of golf on that course this season. As a golfer who has been dabbling with a single plane swing and single length irons for many years I have been following Bryson DeChambeau’s progress closely. Many have told me that Dechambeau’s success in winning the NCAA individual title and United States Amateur were ‘flukes’ and that he would turn out to be a ‘flash in the pan’. Many are not prepared to believe that a golfer using single length irons and a single plane swing could be successful at the professional level. After DeChambeau’s recent performance at the Masters (low amateur and T21 overall) and T4 at Harbour Town in his first event as a professional, many including big name television commentators covering those events are starting to come around. They are starting to admit albeit grudgingly, that Dechambeau may be the real thing. I for one am a firm believer in DeChambeau’s approach to the game and the method he is using to achieve his goal. For those of you who know me you are probably getting tired of hearing me talk about DeChambeau and my Pinhawk single length irons. As indicated in a previous post I will be starting this golf season using both single length irons and a single plane swing. I’ve played 3 rounds with my single length irons so far and the results are encouraging. As promised in an earlier post, once we get a little further into the season (a least 10 games) I will report back and provide an evaluation of my single length irons. When Bryson DeChambeau takes the course as a pro for the first time this week at RBC Heritage, he’ll be using the 2016 Tour B330-S golf ball and will be outfitted with gloves from Bridgestone Golf. Bryson majored in physics at SMU and calls himself “The Golf Scientist”- bringing a unique scientific approach to his golf game. He has developed an unconventional approach to the game, such as adjusting each of his irons to the same shaft length (37 1/2 inches), and each clubhead to the proper loft, and is known to test his golf balls by soaking them in Epsom salts to determine their center of gravity. We are honored to have Bryson join the team and are excited for his career as a professional golfer. The speculation as to which OEM Bryson Dechambeau will sign with once he turns pro is getting clearer. He recently started playing a Cobra Driver and this week debuted a new set of single length Cobra irons. I’ve played a few Cobra Hybrids over the years but have never tried Cobra woods or irons. That may soon change, especially as it relates to irons. 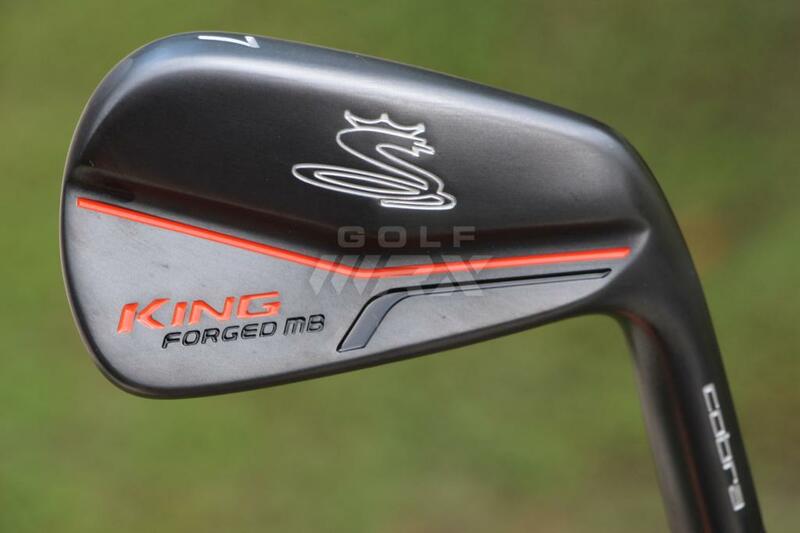 Cobra has produced, or perhaps, more correctly, altered a set of their Cobra King Forged CB irons to match the specifications of Dechambeau’s original Edel irons. He put them in play this week at the 19th Annual Georgia Cup. According to WRX Golf, Dechambeau’s Cobra prototype irons are 37.5 inches long throughout the set with each head weighing 280 grams. The lie angle is 73.5 degrees. Apparently the process of altering the Cobra CB irons to meet the specifications of the Edel irons involved a lot of grinding, bending and adding weight to the lower lofted irons. 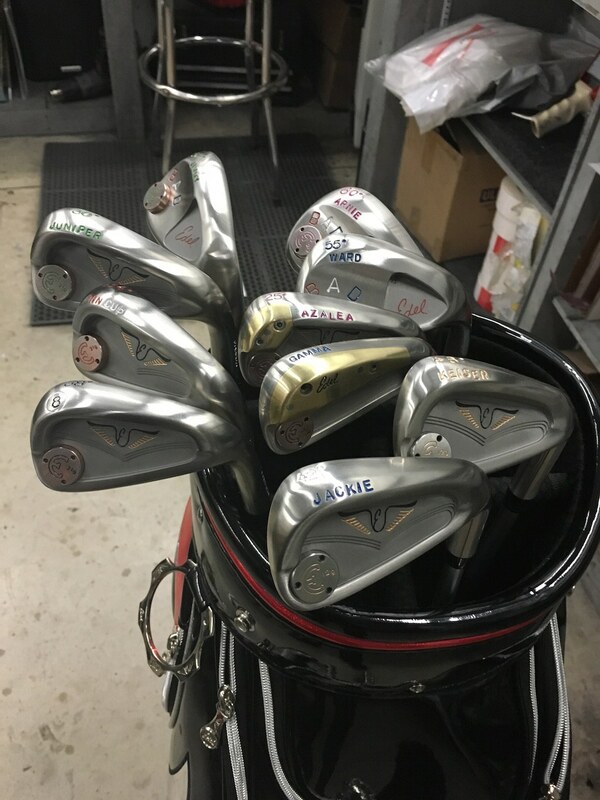 Which set of irons will Dechambeau put into play when he tees it up at the Masters next week? My guess is he will go with the Edel irons but there may well be some industry pressure for him to use the Cobra irons, which in my mind would be a mistake. Are we about to see a major OEM produce a set of single length irons for the mass market? That will all depend on how well Dechambeau performs once he turns pro, which he intends to do the week after the Masters. If he were to perform well as a pro with Cobra single length irons, we may well see a major OEM venture into the field of mass marketing single length irons, the first since Tommy Armour’s ill-fated attempt in the mid 1980’s. A winning Dechambeau would provide Cobra with the ‘poster boy’ Armour lacked.